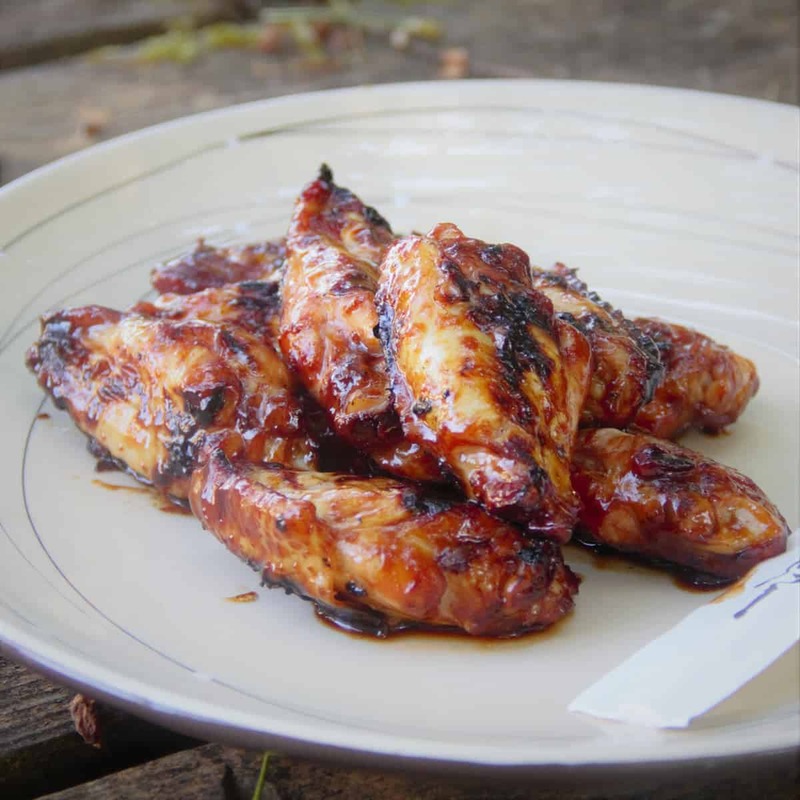 Kick up your next game day barbecue with grilled Korean barbecue wings. Sweet, spicy, and irresistible, your friends will love snacking on these while the game is on the TV or happening in the field. Drumettes are part of the chicken wing, but look like drumsticks. If you can’t find them at your grocery, ask your butcher to help you cut some. 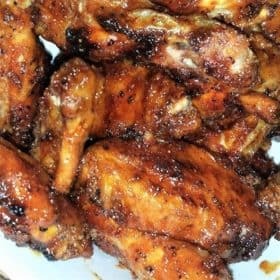 If you don’t have time to marinate the wings for a full 12 to 24 hours, you get away with a quick 4 hour marinade. But, it’s worth the time, so plan ahead! The night before, place the chicken drumettes in a large bowl. Add the garlic, toasted sesame oil, soy sauce, ginger, chili sauce, seasoning, and cola. 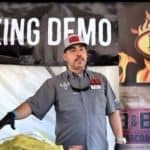 Using your hands, work the marinade into the wings. 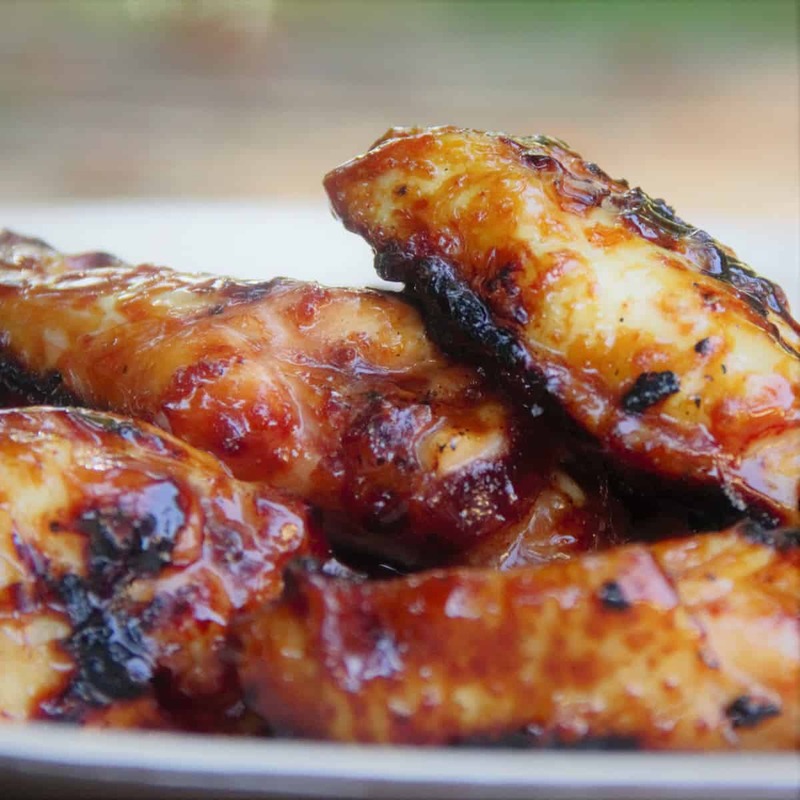 Transfer the marinade and chicken to a sealable bag, then allow to marinate in a chilled cooler for 12 to 24 hours. Light the charcoal and let burn until glowing hot. 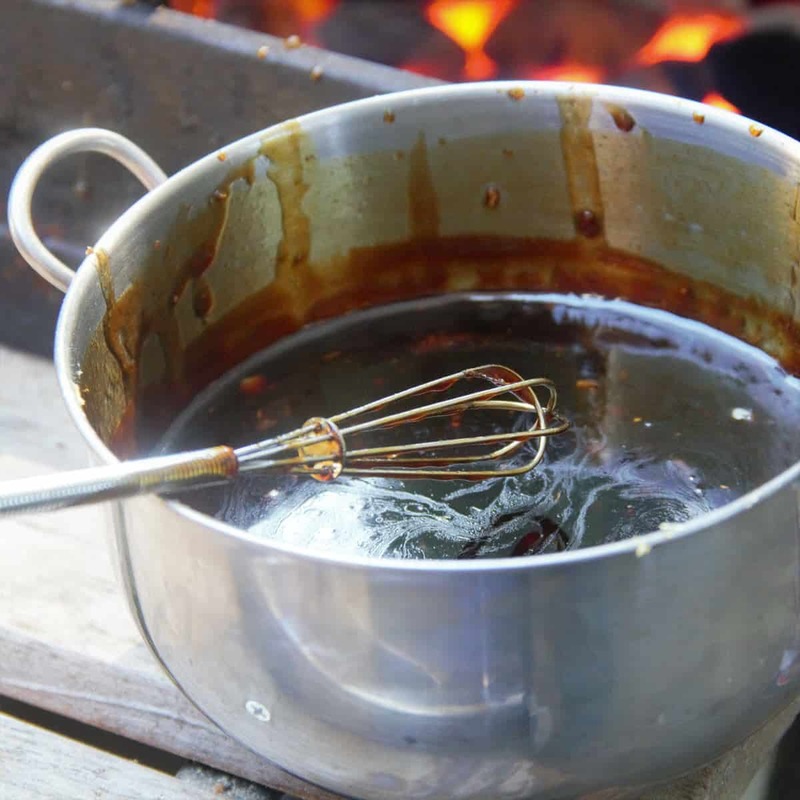 Add the soy sauce, brown sugar, rice vinegar, garlic, chilli garlic sauce, seasame oil, ginger, BBQ rub, and cornstarch, into an oven-safe saucepan. Whisk to combine. 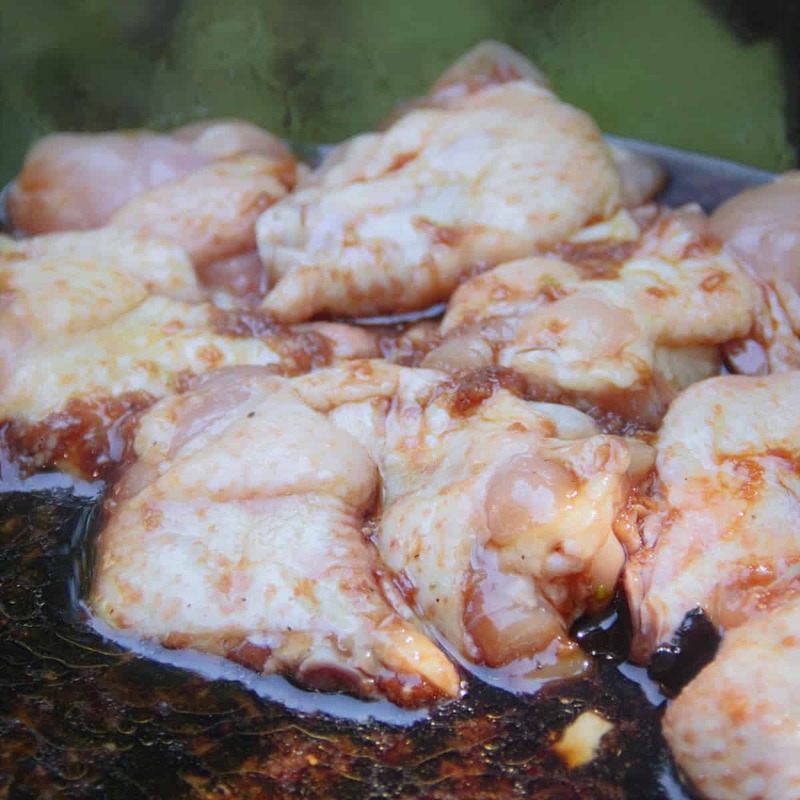 Place the saucepan on the grill over medium heat, and allow the mixture to come to a simmer. Whisk frequently, until the glaze becomes glossy and thickened. Remove from the heat. Finish the glaze by whisking in the honey and allow it to cool slightly. 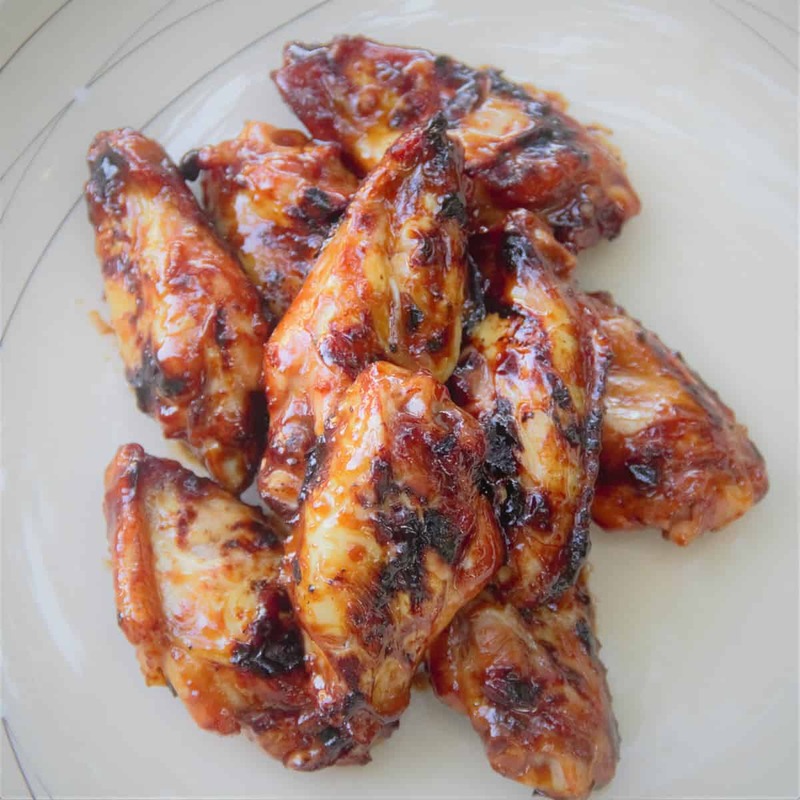 Remove the chicken wing drumettes from the marinade, and pat dry with paper towels. Discard the remaining marinade. Place the drumettes on the grill grate. Cook until well browned on all sides, turning occasionally, for 25 to 30 minutes. Remove from the heat. 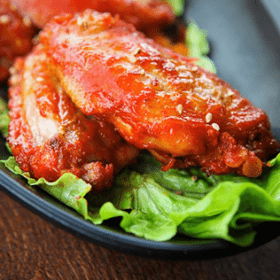 Add the chicken drumettes to a large steel bowl and toss with the Korean barbeque glaze. Turn the drumettes out onto a serving platter, and garnish with sesame seeds and chopped green onions.